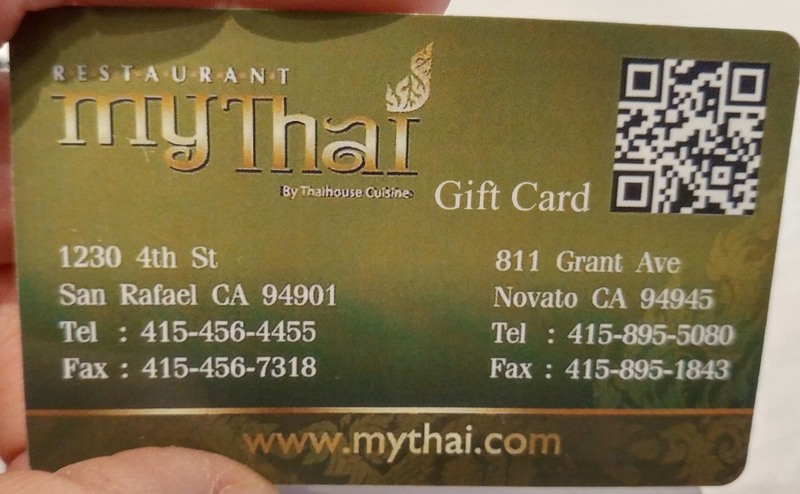 My Thai Restaurant gift card is available directly at our restaurant. It contains value which may be used to purchased goods with the exception of other cards. Please present it to a sales associate at the time of purchase and amounts will be deducted from the card balance. Visit us at 1230 4th St San Rafael and enjoy our sumptuous Thai dishes. If you have comments or questions, feel free to call us at 415-456-4455 or contact us.